On 25 September 2018 four men were sentenced to 12-16 months in prison for their parts in a direct action in July 2017. 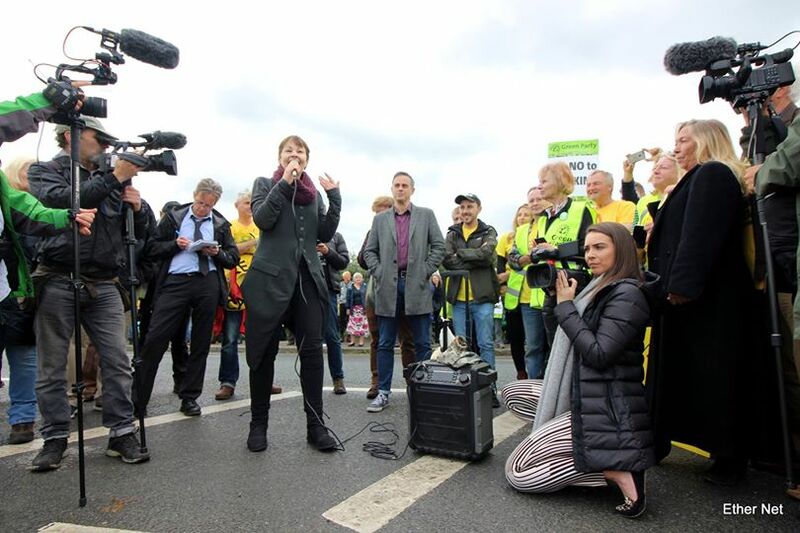 They had climbed on top of four trucks heading for Cuadrilla's Fracking site on Preston New Road in Lancashire. They remained up there for a total of 4 days, preventing the trucks from making deliveries to the site. The Judge was later exposed as having close family links to the oil and gas industy. existing fissures to extract oil or gas"